Lawn Care Irrigation, Sprinkler Systems, Design, Maintenance: Waite Park, MN: St. Cloud Sprinkler Co.
Make sure the exterior of your property reflects the beauty of its interior by partnering with a professional irrigation company. If you have a residential or commercial property in the Waite Park, MN area, St. Cloud Sprinkler Co. is here to help. From sprinkler system installation to snow removal services, you can rely on a wide variety of services to keep your lawn in tip-top shape. Maintain Your Property with St. Cloud Sprinkler Co.
Why choose St. Cloud Sprinkler Co.? The staff at St. Cloud Sprinkler Co. understands how difficult it can be to maintain an attractive lawn all year long. That's why we are committed to partnering with home and business owners alike to help them achieve the exterior they've always wanted. And since 1989, we've been doing just that. Our irrigation solutions will not only maintain the appearance of your property in the St. Cloud, MN area but increase curb appeal at the same time. We offer high-quality products to match our high-quality services. If you're ready to get started, call St. 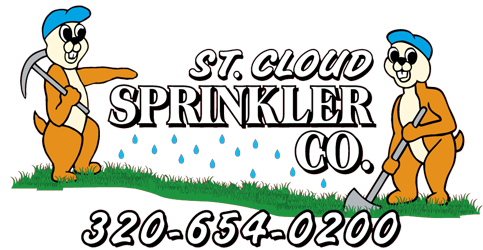 Cloud Sprinkler Co. in Waite Park, MN today!